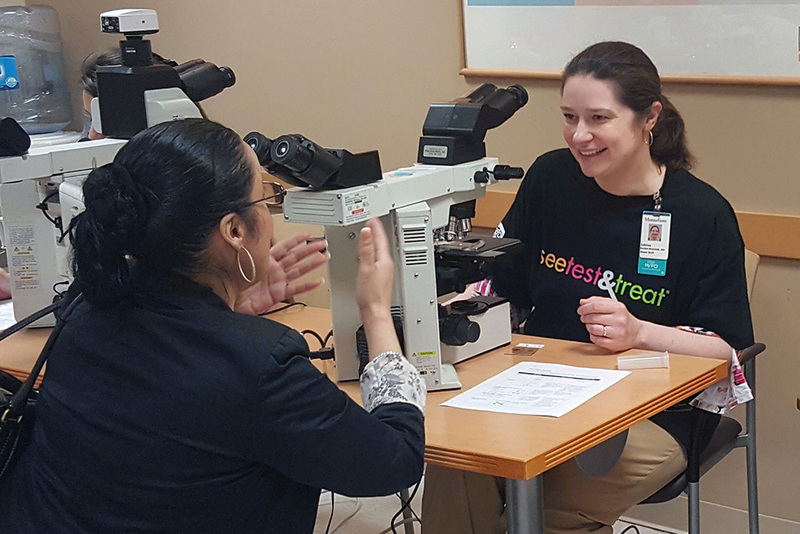 The CAP Foundation lives its social mission by bringing the life-saving skills of pathologists to those disengaged from healthcare in the United States through our See, Test & Treat® program. A recent study shows an increased risk of women dying from cervical cancer than previously thought. CAP member Crystal A. Moore, MD, PhD, FCAP, sites the importance of our See, Test & Treat program to deliver free cervical cancer screening, same day results, and a plan for follow up care, to underserved women. This story is part of a recent USA TODAY article. 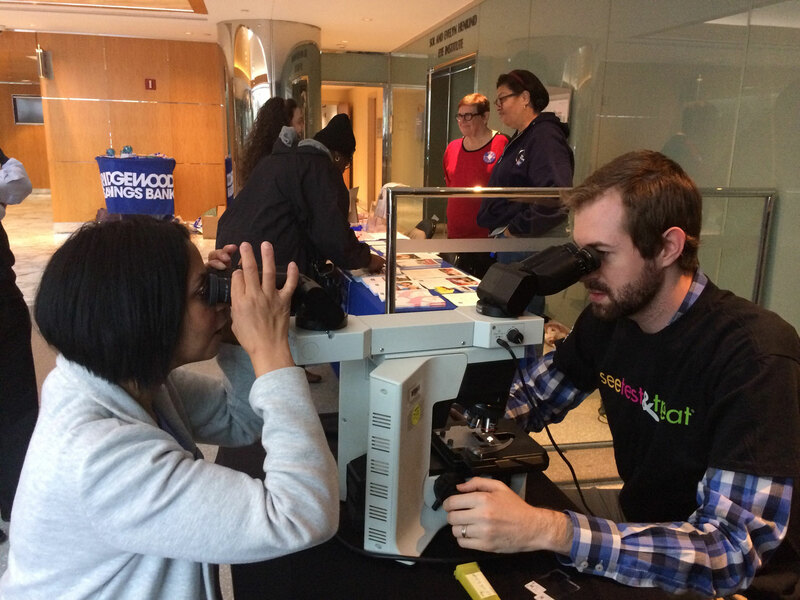 See, Test & Treat gives thousands of participants—both women and the family and friends they bring with them—the experience of overcoming their barriers to health care, connecting face-to-face with friendly providers, and learning how to schedule important care. Our program also connects hospitals, clinics, clinicians and volunteers with the communities they serve. Mark J. Suhrland, MD, FCAP, a pathologist at Montefiore Medical Center in the Bronx (New York), saw a need and a solution. Assisted by a CAP Foundation grant, he began creating pamphlets to educate patients and the community about the dangers of human papillomavirus and how to protect themselves and their children. The CAP Foundation is incredibly grateful to all donors and volunteers who give in support of our mission and programs—without you, we would not have an impact. The CAP Foundation is committed to transparency and informing the community, donors, and funders about how we operate.